TERRY products are stand-alone units that are installed inline. They are adaptable to any water filtration system. Easy installation and replacement make TERRY products the pure and simple solution to scale elimination for you. 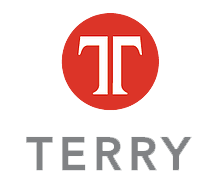 See how Terry products create a scale preventative environment. Receive a personalized set of TERRY solutions from Pace Reps.